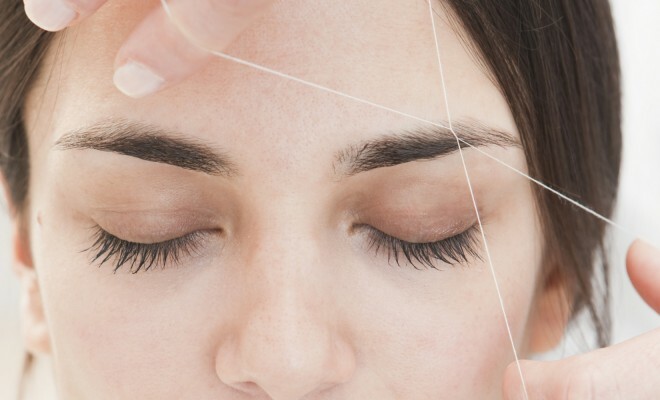 Before proceeding any further into any detailed discussion, it would only be wise to find the answer to the question: what is eyebrow threading? Well, the procedure of threading eyebrows can be considered as an early method of removal of extra hair from all around the eyebrows thereby shaping it. This ancient practice had been originated mainly in India and Central Asia. With the passage of time, threading eyebrows has achieved popularity amongst the western countries. It is generally applied with a touch of cosmetic application, particularly while shaping or removing eyebrows. Almost every woman in this world tries their level best to look even more beautiful and young than they actually are. So, they do not hesitate twice to adopt almost every sort of means of modern makeup like painting the lips with red cherry colors, applying blush-on, putting on foundations and mascara etc. In this process, they perhaps ignore or just put aside the most key step of getting a glamorous look, maintaining the good shape of the eyebrows. With your eyebrows threaded perfectly according to the face shape, you will not only look beautiful than ever but also your facial expression can become more lively. While discussing shaping of your eyebrows, things become not only getting into know about the technique of how to shape your eyebrows but are also acquiring knowledge about the best possible shape of eyebrows that will fit perfectly according to your face shape. To thread eyebrows, a very skinny thread made of polyester or cotton is first doubled together and then twisted to get a rough surface. Then the twisted thread is rolled gently over the unwanted hair areas to pluck the hair. By doing your eyebrows threaded, you will be able to remove the short hairlines. It is also gentle for your skin and full control can be achieved while shaping eyebrows. Although it can cause a slight pain but can be reduced via application of a cream during the plucking process. Each technique comes with its own benefits. However, the method of mouth holding can be treated as the quickest and most accurate one. If you have acquired the art of how to thread eyebrows properly then it may develop an improved definition for your eyebrows. Now when you know what is eyebrow threading, have a look at the suggestions you can go for different shaped faces. With a round-shaped face, your aim while threading eyebrows should be to make it appear longer. Your stylus will know better but it is advised to make your eyebrows look lower towards the corners and elevated as feasible. Try to have a straight line at the peak with more or less vertical lines. You can also opt for angled eyebrows. 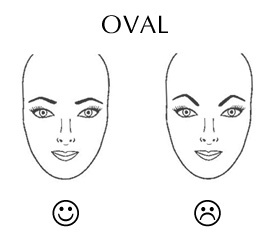 If you possess an oval shaped face, it is recommended to opt for an angle shaped eyebrow for an ideal look. 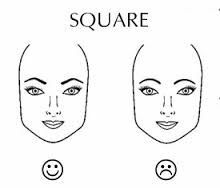 As a square faced individual, you can go for soft curves that appear to be stronger. Make sure that your inner brow’s line is being shaped straight but the external section from the arc needs to be properly curved. Shape your eyebrows in a way that can create a perfect balance amid your face as well as jaw line. A clear difference can be made in between having oval and heart shaped faces. 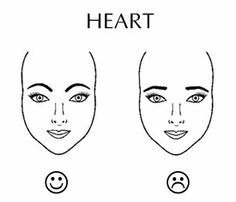 Anyways with a heart-shaped face, you can attempt a supple arch eyebrow that can simply add appeal to your brows. When creating, ask your stylus a lower arch to get to the required length matching up to your heart shaped face. 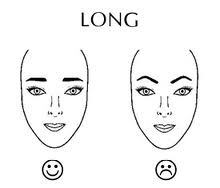 If you are a long faced person and want to know about how to shape eyebrows, here are some tips. Long face implies that you have forehead, jawlines, and cheekbones in equal width whereas the chin to some extent is outstanding. 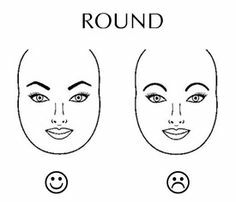 Go for a straight horizontal eyebrow shape that can appear to be shorter suiting your face perfectly. For an amazing appearance, try to add some width further. 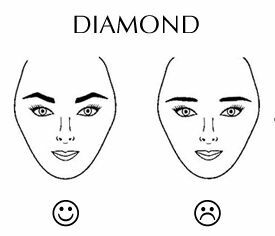 Being a diamond shaped face; you can opt for a soft curve eyebrow look that can reduce the broadened parts. If you don’t feel like going for a curved brow then try out the brow stencils. Moreover, make sure there is prominence on the curved arch while you opt for an eyebrow curved shape. So, these are some of the great tips on how to shape eyebrows matching up to your face.